The view from the steps of the Central Station in Malmo. One of the attractions of Copenhagen is that it is a just a long bridge away from Malmo, Sweden, and my college chum Susie lives in Malmo. I was able to spend the with her on a Swedish national holiday. We walked along the sea and admired the mixed income neighborhood and mix of old and new. The gym and cafe and market are located in a brick building that had been Hermann Goring’s airplane factory between WWI and WWII. Sweden was neutral and so they have lots of ties to Germany AND they allowed thousands of Jews to move from Denmark to safety in Sweden. Three buildings in downtown showing the many ages/phases of Malmo. We then rode the bus into a “new” development (by Swedish standards) on an old infill site that had been a shipbuilding yard. In the mid-1980s the company stopped building ships and sold off its assets. The area was redeveloped and continues to grow and change. The iconic building the Turning Torso (designed by a Spanish woman architect) is also located here as the one skyscraper in the neighborhood. A brilliant idea for thwarting terrorist attacks on the city’s celebration. We walked to a cafe called V.E.S.P.A. for salad and pasta. It was yummy. One of our servers was an expat from Minnesota. We talked and talked for 2.5 hours! By then we were ready to walk on and find gelato. It is generally windy in Malmo but it was particularly blowey this day. We jumped on the bus one last time to return to the train station. We walked into the center square of the old city. Lots of businesses were closed for the holiday and the city had a special program planned. We had a little time before it started so we continued our walking tour. Swedish flags were flying in many places as it was a “red letter day,” one of days when it people are allowed to fly the national flag. The national church is Lutheran and there is no separation of state. Unless you declare yourself a non-believer and take action to separate yourself, 3% of your income tax will go to support the church. Devout Christians account for 29% of the population, but almost everyone is a member and most teams participate in confirmation as a rite of passage. St Peter’s Cathedral is a lovely and inspiring. Susie said she and her husband John enjoyed a worship service where the pastor read scripture and invited people to meditate while the organist played Bach on the pipe organ. They loved it. We watched the Fire Department band play and a goofy rhythmic gymnastic group perform an anachronistic routine that felt like 1950 not 2017. They juggled red balls and did mild calisthenics without breaking a sweat. They inspired us to giggle and marvel that this troupe still attracts participants. We retired to Susie’s gracious apartment and enjoyed a home cooked meal. Her husband John, and her daughters Linnea and Olivia answered questions about “cozy time” and other uniquely Swedish things. It was a quick 45 minute train ride back to Copenhagen. It made a great day trip. I am participating in National Novel Writing Month, or NaNoWriMo, this month. I have several longer travel-writing projects I want to pursue and I am challenged with carving out the time needed to complete these and get them to publication. I am excited about this challenge. I completed a 50,000+ word novel in 2011 while I was living in St Heliers, Auckland and it helped me discover myself as a writer. I wrote the first draft to a mystery novel called Death by Sand and Gravel. Over time I discovered that I make a better travel writer than mistress of mysteries, so I am using November to recommit to a more disciplined approach to my writing life. Thinking through how I am going to translate this pattern–asking my friend Susie in Sweden to help me and coordinate with her friends in Stavanger–got me to thinking about how travel is no longer a time set aside with strict bookends. 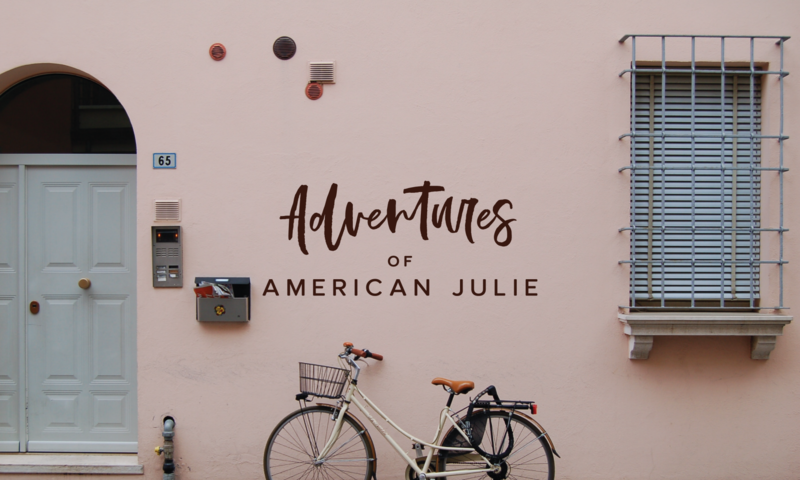 At one time it felt like my “self” on adventures abroad was somehow different that the duller, more cautious Julie who lived a work-a-day life in NorCal. At some point, my travels and the friends I made on my adventures became so numerous that they could not be easily contained in a 2 week time slot called “vacation.” The transition was complete when I redesigned my life to be less about earning a paycheck and more about living a full life. I now have as many or more friends living abroad and I see my travel adventures as bright colored threads woven into my life tapestry, not a separate scarf only donned at the airport. Nor are my work threads the beige neutral threads in my life; they are full of vibrant color too.